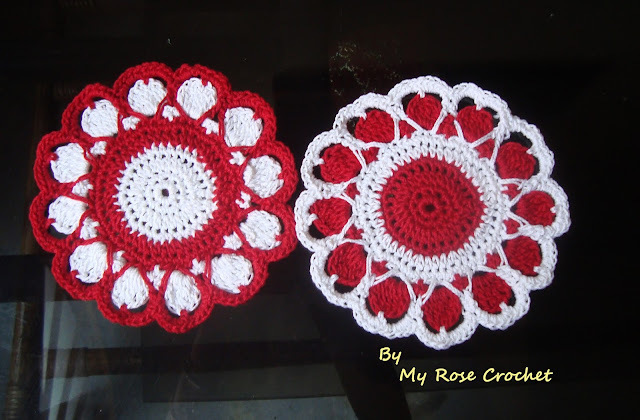 Coasters are to add color on a table.Row of little hearts in the edging surely uplift the mood. Made with knitting cotton size#10(3ply) thread . Pattern written in American terminology.It includes photos and written instructions for each steps. Worked in rounds from start to finish.